​Dwight reviewed Hideaway Kennels —5 stars! ​ My wife was using this kennel before we were married 8 years ago, we now have a 3 year old white Lab named Powder who has not spent but very few nights away from us in our care. And when she has its been with her trainers whom she is very familiar with in their home. I have to say that the idea of putting her into a kennel environment was not at all appealing to me, not only had she never been to a kennel other than puppy day camp she had not ever spent a night in a kennel. So needless to say I wasn't all that on board with this idea, but we have been faced with the dilemma of where to keep her this July when we are in the Caribbean on a dive trip because our trainers are not going to be an option for us this year. So let me say right off, SMART CHOICE OF KENNELS RIGHT HERE!!! The staff were very understanding and they were very accommodating, they ask questions and took great instructions as to our wishes and wants and full understanding of the things that we requested that she not have. One of the staff Melissa even gave me her personal cell number and told me to call her at any time if we have questions or just want to check on her, and I have to tell you that at that point my stress level went from a 10+ to a 2-. Not only did she and Loree take great care of Powder they kept us in the loop at to her progress and how she was settling in to her new home for the weekend. Some may not understand that but for Amy and I that was huge, they care and they show they care. So it is my hope that this finds them today and they know how much i appreciate them all taking care of my dog and giving us the peace of mind that I needed so badly. ​ My father passed away suddenly this past November right before Thanksgiving. My family lives four hours away and we had no choice but to leave our three dogs and two cats at our veterinarians office. The incredible staff at Hideaway personally went and picked up our precious pets and brought them to the kennels and took amazing care of them for ten days while we went to be with family. Their support and care meant more than we can ever say. I did not worry one minute knowing they were in their care. Not long after that, we had to board our babies again. 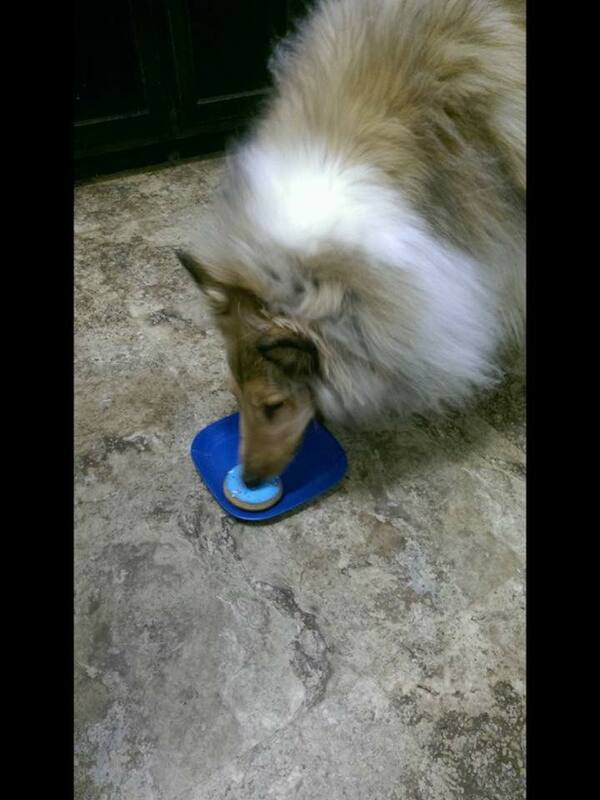 It happened to be our collie, Tyson's second birthday. They gave him a birthday party!! He was so happy! Our pets always come home happy. Thank you again everyone! ​I cannot say enough amazing things about Hideaway Kennels. My cousin recommended this place to me after we had to quickly leave Charleston due to Hurricane Matthew. I am so glad she did. The staff was so friendly when I dropped off my 2 pups I was at ease. I have never had to kennel my dogs before, and one of my pups I have had for 10 years. I was very nervous until I saw the facility and met the staff. The facility is located on a very beautiful piece of land, with amazing views of the mountains. It is very serene and peaceful. When I arrive at the facility the owner had just got back from going to get carrots and corn for a bunny they were taking care of. I instantly saw how much she cared for the animals that were kenneled there. Everyday when I called to check on the dogs, I spoke to the staff member that was directly taking care of them. They were honest and told me that one of my dogs was having anxiety about being in a new place. I was so glad that they were honest and doing what they could to make my pups more comfortable. On Saturday I called to pick up the pups and was accidentally told they were open till 6pm. It was an honest mistake as they are open to 6pm Monday-Friday. When I arrived and found they were closed I had an epic meltdown, from all the traveling stress. There was a worker there checking on the pups and was so kind and generous to let me take the pups home after hours. I couldn't thank her enough for letting me have my dogs. I felt that the staff went above an beyond for me!!!! "We have boarded our dogs here a handful of times.After the first time boarding they are always super excited to come back. As soon as they see where we are going they are beyond happy, Thus makes us thrilled. The staff really seems to care, and we feel very confident in their time there. We have 2 big dogs and after picking them up tonight we even noticed they washed our custom very big dog beds.How nice Great job Hideaway Kennels you have fans Dude , Pikkolo and family"